No, I’m not eating raw meat. 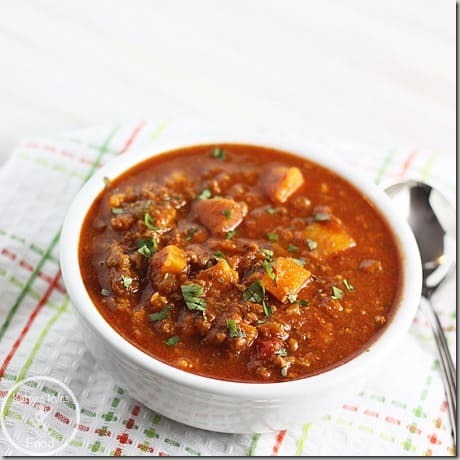 But, I do have a kicking recipe for Sweet Potato Chili below. Today was a great day from start to finish. I woke up without the alarm and after 6 solid hours of sleep. However, I didn’t go to bed until midnight so I was up at 6. I bailed on CrossFit. I was sleeping hard and believe me, the best sleep is what I need. I feel some kind of cold coming on, or trying to anyway. I’m taking plenty of Vit. C and inhaling oranges, greens, and stress B complex. I’m not going back to the dark place of Oct-Dec. illness. I had tremendous energy today, without a coke. Without sugar. Without the crash. It just doesn’t get better than that. I felt like I had enough juice in the tank after work that I got a small run in at home. As much as I complain about a treadmill, it’s nice to have one handy. I felt like I was flying and again, I didn’t crash on the couch after. 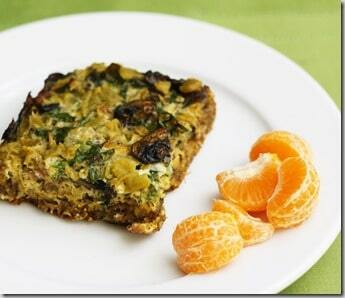 Breakfast was a piece of breakfast casserole and an orange. Lunch was Chicken soup, some cucumbers, and a lot of water. I am still extremely thirsty. Dinner was FANTASTIC. I made sweet potato chili. Brown beef with onions, garlic, peppers. 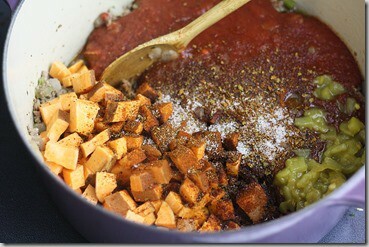 Add chilies, tomatoes, broth, spices/seasoning, and sweet potatoes. 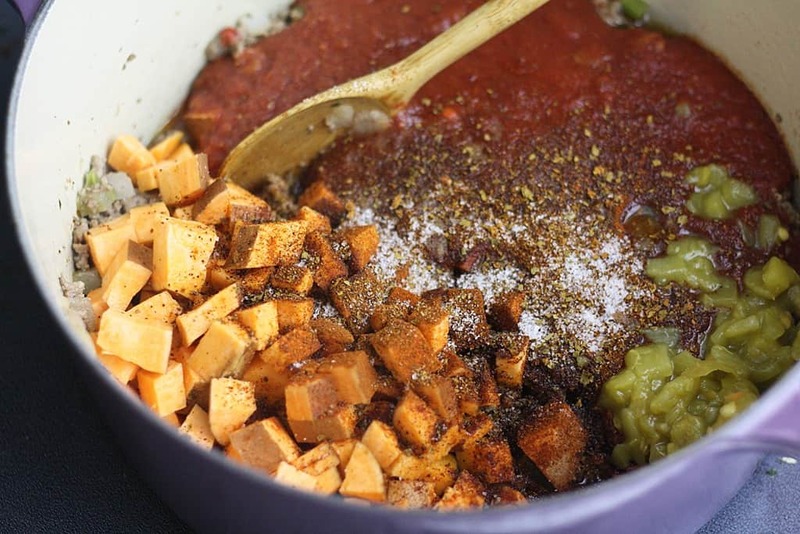 Bring to a low simmer and cook for 45 minutes until sweet potatoes are very tender. Serve and garnish with cilantro. 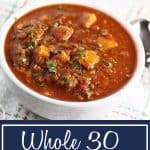 One of the things I like best about the Whole 30 is that I spend more time in the kitchen cooking. And yes, that is a good thing. I know what I’m making, I know what I’m eating, and my family is feeling much better. Fast food has NOTHING on a home-cooked meal. 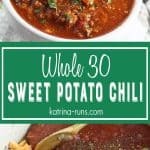 This chili was great for leftovers for both of us.